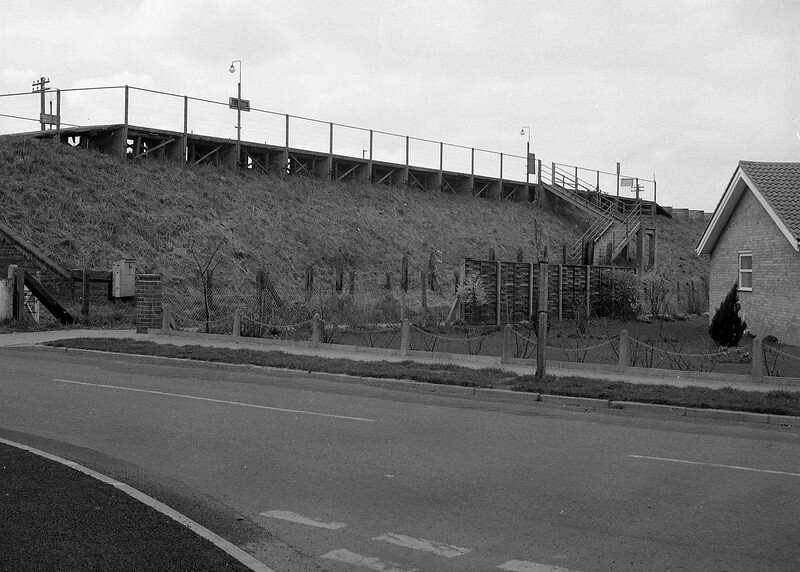 Gorleston Links Halt viewed from Links Road. Nothing exists today. The embankment has been levelled and houses now occupy the site. The bungalow to the right still remains, just down from the junction with Warren Road. Image Russell Walker.